If you invoved in car accident Call at 619-236-9696 for schedule a free consultation with a personal injury attorney at Simpson Law Group in San Diego today. Every day we get into our cars and expect a normal driving day. If everyone just follows the rules then there would be nothing to worry about. But, we know that isn’t true. Driving is an interesting social experiment. You have to trust people around you all the time. You have to trust that people will drive with the same duty of care as you. The more experienced driver understands that not everyone is capable of such, but you have no choice but to trust. Our San Diego Auto Accident Attorneys at Simpson Law Group understand the hassle, heartbreak, and financial hit that comes with a car accident. Hiring an attorney can be your best chance at recuperating some if not all your losses. Getting sideswiped or T-boned is a very specific kind of car accident. Right-angle collisions can also be called “auto accident, broadside” or AABS. An accident like this typically involves severe property and occupant damage. However, the severity varies depending on exactly where the victim was hit, how fast the cars were going, safety features in the vehicles, and vehicle weight and construction. In 2003 there were over 9,000 fatalities. 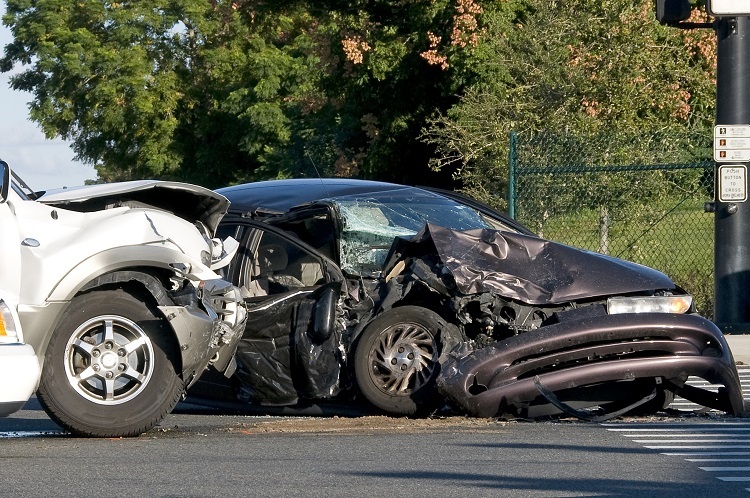 Over 29% of all fatal vehicle accidents were due to side impact accidents. The most common place to get T-boned is at an intersection. Typically one car is running a red light while the other is driving through their green light. Getting sideswiped can also happen when cars are turning in opposite ways. Blame it on a misjudgment of space, distracted driving, or an honest mistake, if you are T-boned injury is inevitable. In the case of the collision between 47th Street and Hill Street in the southeastern San Diego, a 36-year old woman was hit by a 62-year old woman who failed to stop at a red light. The young woman survived, but the older woman died. Even though the younger woman T-boned the older woman’s car, it was the older woman’s fault for running the red light. This proves that not all cars that sideswipe are negligent. Sometimes the getting hit is the negligent driver. Who decides this? The authorities? Your testimony? The other driver’s testimony? Witnesses? The truth is it is a combination of each. If there is video then it clarifies. However, with a strong advocate by your side, we can make sure that your story is not buried beneath other versions. Because California is a comparative negligence state, all drivers are held responsible for their injuries. For example, if you were hit but were also speeding you may be held 30% responsible. This means the other driver owes you compensation less 30%. It is our job as your San Diego Auto Accident Attorneys to make sure that you get 0% or only the exact % related to your negligence. Trust in us to get the job done. Call 619-236-9696 or click here to schedule a free consultation with a personal injury attorney at Simpson Law Group in San Diego today.